Find IMEI number of your iPhone. You can check IMEI info, Serial number, ICCID MEID of your iPhone. You can check IMEI number of iPhone 4S, 5, 5S and 6. Find your IMEI number by entering this USSD code on your keypad. IMEI number will help you in finding your stolen iPhone. 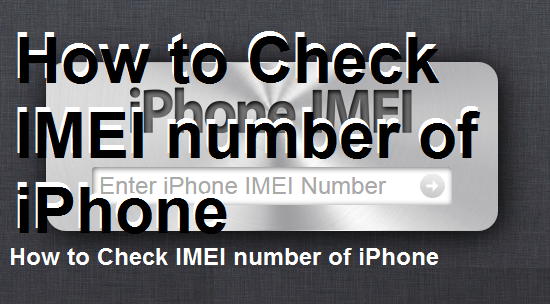 I have shared a direct method to check your IMEI number of iPhone. You don’t need to add any USSD code. 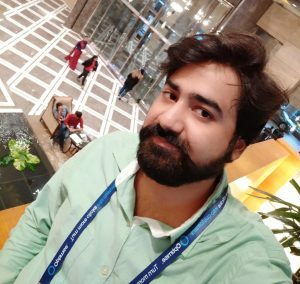 IMEI is the unique number which is assigned to every Smartphone. It helps in tracking the mobile phone for security reasons. Every phone has different IMEI and Serial number. Earlier, these numbers were printed on the back of iPhone. You can quickly view these IMEI and Serial Number by removing the back cover. But, due to security reasons and for improving the privacy of the user, these numbers were removed from the back of the iPhone. Now, tap on the Keypad. Now, you will see your IMEI number. It is the easiest way to check IMEI number of iPhone. You can view the IMEI number just by entering the USSD code on your keypad. Note: To check Serial number, ICCID and MEDI number of iPhone. Follow the steps below. 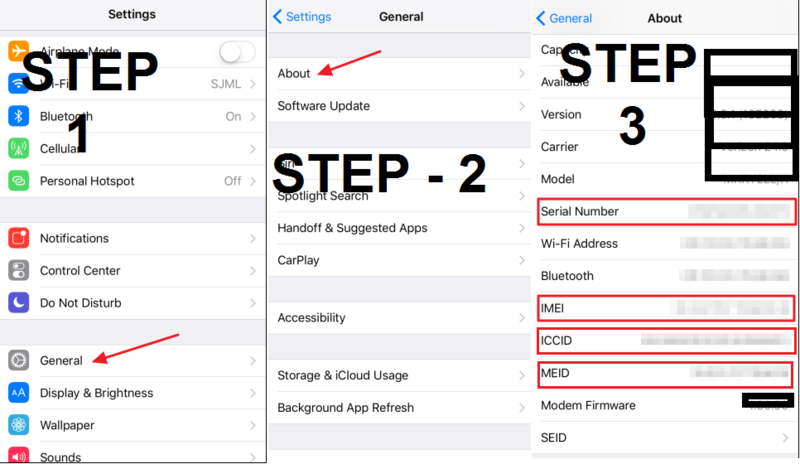 iPhone users can find the IMEI, Serial number, ICCID, and MEID by opening few settings of the iPhone. Now, you will see various options. Now, Tap on the first option ‘About’ under the General Setting page. Now, you will find your IMEI, Serial, ICCID and MEID number. It is the best way to check your IMEI and other numbers. Well, note down these numbers for future. These numbers are significant and useful for your iPhone. If your iPhone is stolen then, you can use your IMEI number for complaint. It is the best and easiest way to check IMEI number of iPhone and another different number on your iPhone. You don’t need to install any apps on your iOS to check your IMEI number and others. I will also suggest you keep all these numbers secure from others. Don’t share any of this vital information on your iPhone.